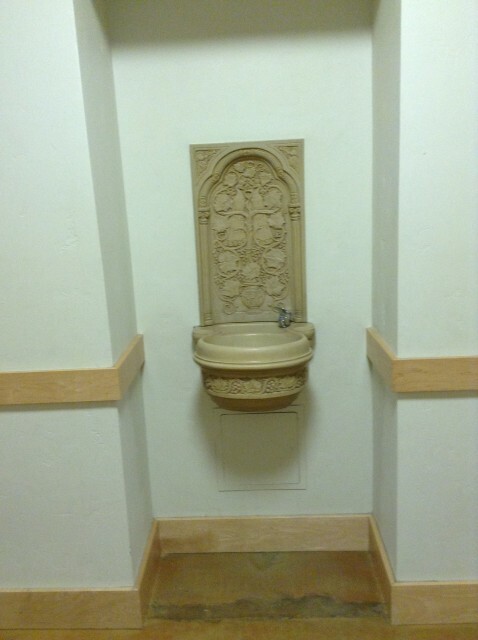 A big decorative water fountain. Don't worry, it works. By Amber Dance Studio and across from Crystal Dance Studio.